Eggs, beans, avocado, pancakes + fresh juice (apple, carrot and ginger). Ossobuco, which is a dish of cross-cut veal shanks braised with vegetables, white wine and broth. The marrow in the hole in the bone is the defining feature of the dish. Marianna Nasa, she is an incredible singer + chef, she cooks the most wonderful Cannelloni. It’s my favourite dessert, apple tart. If you could have a masterclass with a celebrity chef, who’d you pick and why? Joan Roca and family. I love Spanish food and I’m a big fan of wine made one of his brothers and a beautiful dessert by his youngest brother. A creative family through and through! Brad Pitt, Jamel Debouze and Louis de Funes for nothing but laughter. 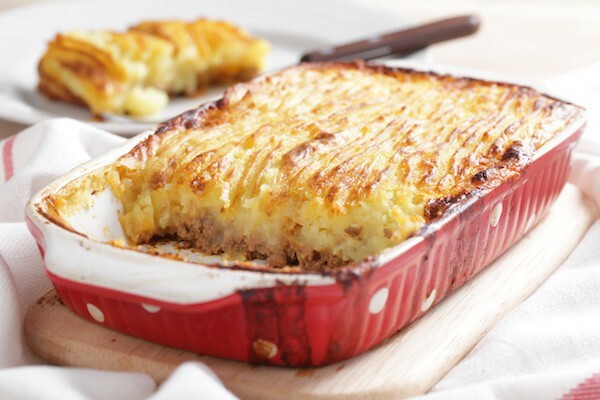 Hachis Parmentier, a dish made with mashed baked potato and has been combined with diced meat served in the potato skins. Artichoke, mushrooms, cheese and tomato – there’s more than one, too hard to choose. I confused wasabi with pistachio mousse when I was younger 🤣- It burns my mouth just thinking about it. Cheese and bread every time, with brie and goats cheese. A record that always reminds you of Ibiza? Gadjo – “So Many Times”. You can always continue the celebrations in Ibiza, depending on the day, but if it was mid-week of course a session on the DC10 dancefloor for Paradise….